A newsreader presents some of the latest and important political and economic news stories and updates affecting the lives of people. Coming into a very competitive industry, it is amazing how we have managed to rise through the ranks and all odds and become the number one choice for millions and millions of viewers in and around the world. Our journey to the top is quite fascinating. 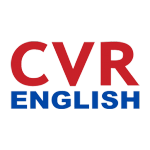 In our effort to expanding our horizons, in what could see many of our English viewers scrambling for our content, we are providing English news through CVR English News Channel Live. When it comes to technology, we come second to none; through the power of technology and the internet, we have in a myriad of ways allowed thousands of consumers to enjoy our great English news channel from any part of the world. Whether you are in Asia or Europe, we will bring our content right into your living room. As if that is not even enough; when it comes to free news channel, unlike what the rest of services providers are currently doing, we have and will always try to do things differently; quality and convenience is the name of our game. For example, other than just being pioneer when it comes to provision of great content to television viewers around the world, we delight in pushing and we assure our viewers complete satisfaction.